While average comedies tend to get stale with multiple viewings, as the jokes that were once hilarious eventually grow tired, the mark of a great comedy is when you can revisit it multiple times and always walk away laughing and discovering something new. It’s a sign that directors and writers are thinking about the material on more than just one level, and the finished product always winds up being more rewarding as a result. Some of the best modern examples of this can be found on both television (Community, Arrested Development) and on the big screen (any movie made by Edgar Wright), but the latest great example landed in theaters just this past weekend. 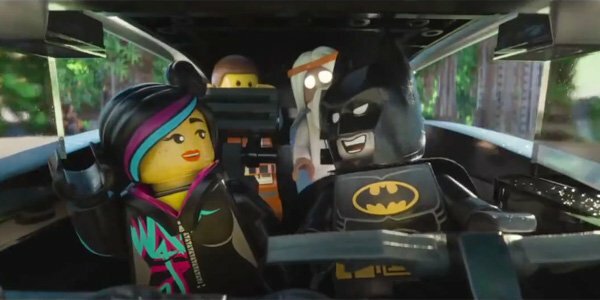 Phil Lord and Chris Miller’s The LEGO Movie is an absolute triumph in every way, as it succeeds in being a fun, hilarious adventure as well as an ode to the creative spirit. But perhaps the most impressive thing about it is its layers. Not only is every scene perfectly funny or dramatic on the surface, but there are also some incredibly smart and clever things always going on in the background that you only begin to notice after a first viewing. This past weekend I took some time to try and find as many of them as I could. I first had the chance to see The LEGO Movie a few weeks ago in advance of my interview with the directors, but on Sunday I went to my local theater to see the film again to try and pick up on some of the coolest details that some members of the audience may not notice the first time around. What did I find? Read on to find out! WARNING: This is a very spoiler-heavy article, so if you haven’t seenThe LEGO Movie yet you might want to click away! Batman (played by Will Arnett) plays a major role in The LEGO Movie, while Cobie Smulders and 21 Jump Street’s Jonah Hill and Channing Tatum voice Wonder Woman, Green Lantern and Superman, respectively, in bit roles. But there is actually one more DC Comics superhero that shows up in the film. 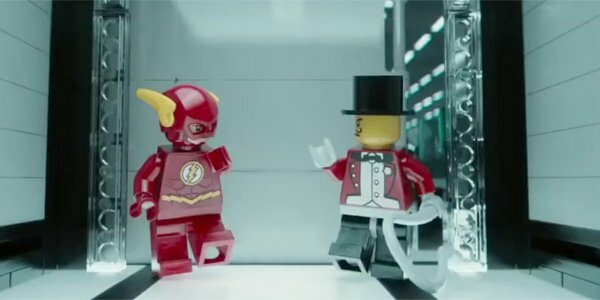 If you watch closely during the Metalbeard flashback, you can see that The Flash was actually part of the pirate’s gang that failed to invade the Octan tower. When Emmet and Wyldstyle first arrive in The Old West the name of the territory appears to them in giant block letters floating in the sky. It’s a humorous little joke that only very cartoony movies can pull off, but what adds a layer to it is that the words don’t disappear immediately. As Emmet and Wyldstyle keep walking towards town, if you keep looking to the sky you’ll notice that the letters remain suspended in the air. 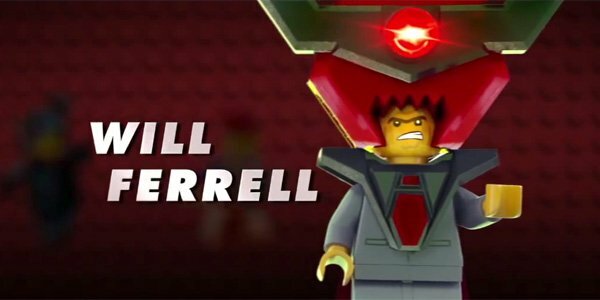 Phil Lord and Chris Miller got their big break working alongside Scrubs creator Bill Lawrence creating the MTV animated series Clone High back in 2002, and while the show got cancelled after its first season, the filmmaking duo made sure that some of it lives on in The LEGO Movie. 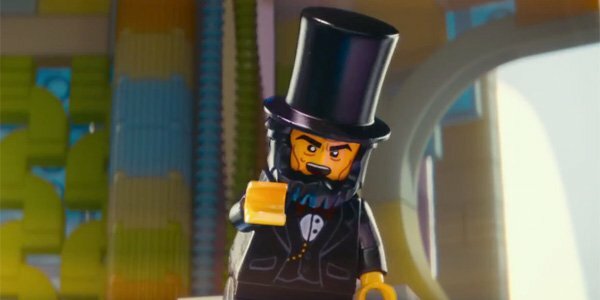 Not only does Will Forte provide the voice for Abraham Lincoln (the same character he voiced on the show), but you can also hear the series’ signature dolphin noise while the characters are gathered in the Dog Dome in Cloud Cuckoo Land. The Where’s My Pants? show in The LEGO Movie is just a fun gag by itself, seemingly making fun of all the mindless sitcom pabulum that exists on television today, but what you might not have picked up on is that it’s actually a reference to the real show How I Met Your Mother. When Wyldstyle is in the Octan building and sees the show she actually comments something along the lines of, "After all these seasons, you’d think he’d find his pants by now," a reference to the fact that How I Met Your Mother went a full nine seasons before revealing the titular character. Not enough for you? Did I mention that Phil Lord and Chris Miller were both writers and executive producers on the CBS sitcom back during its first season? Lord Business has a number of artifacts from the human world in his trophy room, from the Cloak of Band-Aye-Eed to the Orb of Teet-A-Least, but what you may not know is that he actually also wears one of these artifacts around his neck. Take a closer look and you’ll notice that it’s actually a necktie. 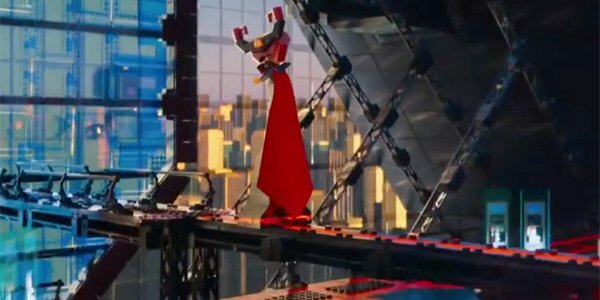 It’s a clever inclusion, but Lord Business’ tie cape is actually one of the few things in the movie that wasn’t constructed or made to look constructed out of LEGO pieces. The entire rest of the villain’s costume, for example, is made of plastic building blocks, from his giant stilt legs to the ornamental helmet on his head. But did you notice that, like the cape, the horns are actually another nod to the character’s "business" side? They are actually red LEGO coffee cups! Octan sounds like the perfect parody of a giant oil company and even better as the name of a big evil corporation. 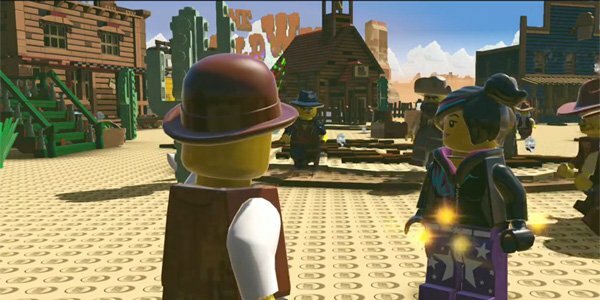 But rather than inventing it themselves, Phil Lord and Chris Miller actually borrowed the brand from LEGO kits that have been around since 1992 as part of the "Town" set. 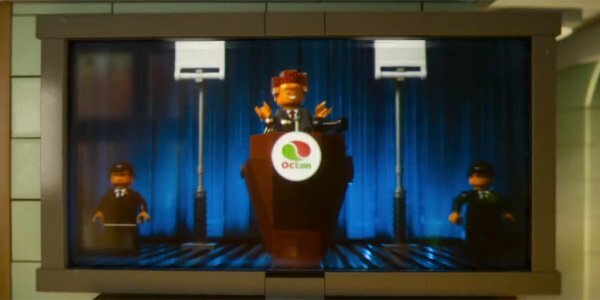 The company has always seemed rather neutral, and The LEGO Movie marks the first time that it’s being used in an antagonistic way. When we’re first introduced to Batman in The LEGO Movie he demonstrates how the monster new speakers in his Batwing "bark" by playing an original song that he both wrote and recorded. Because of the way the scene is cut and the characters talk over the music, you can’t really make out any of the lyrics with the exception of, "DARKNESS! NO PARENTS!" Fortunately, if you just stick around through the end credits you actually get to hear the song in its entirety… and much like the soundtrack’s other main track it is awesome. This one isn’t so much a joke as it is something you really only start wondering about after the second time you’ve seen the film. 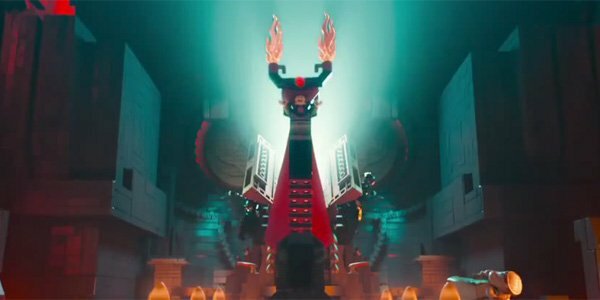 As you’ll remember, The LEGO Movie begins with a prologue that has Vitruvius (Morgan Freeman) doing battle with Lord Business. What’s interesting is the title card that comes right after that says "8½ Years Later." Given the young age of Finn (Jadon Sand), the real life kid who see eventually see is orchestrating Emmet’s adventure, does that mean that his father, The Man Upstairs (Will Ferrell), was playing with these characters even before Finn was born? Or is it all just a metaphor? Or is it just a detail that’s in Finn’s story? It’s an interesting head-scratcher.